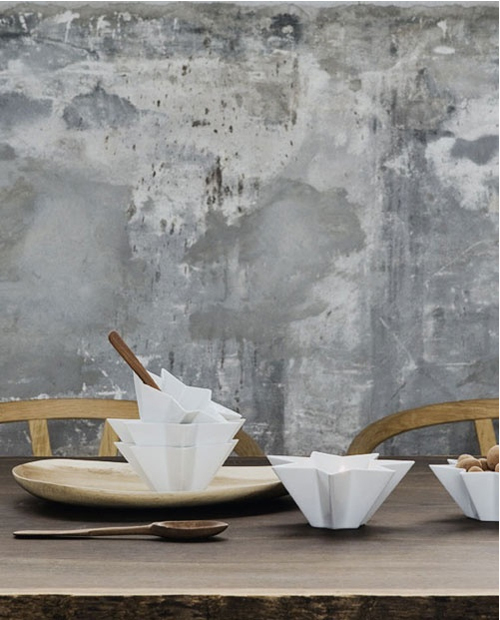 Today’s interior inspiration comes from the portfolio of the talented Danish photographer Heidi Lerkenfeldt. The chairs in the image above are the Wishbone chairs from Wegner. 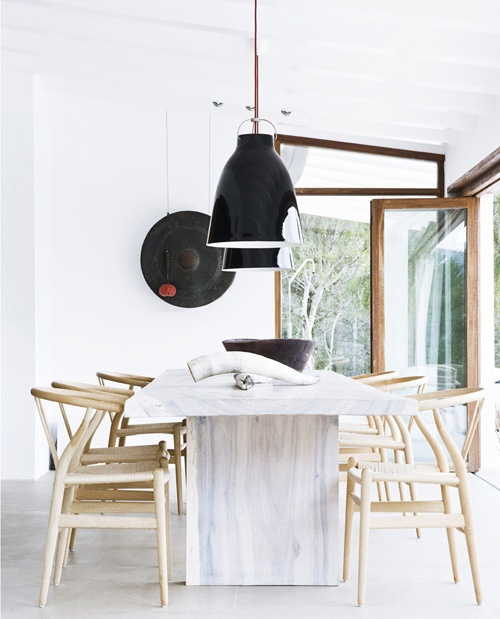 The black Carvaggio pendants are from Danish designer Cecilie Manz. I love the rustic look of the wooden plates. Similar plates are available from Le Souk. I love that chair with a passion… my fave of all time! Beautiful images! The more i see them the more i like them: the wishbone chairs. 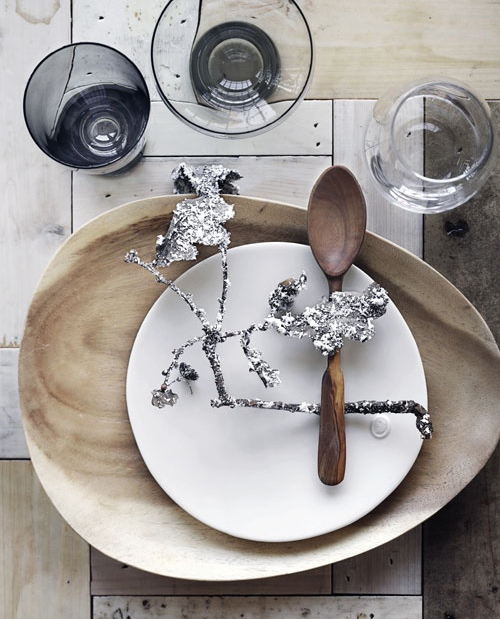 I love tha table setting, wood and harsh grey/silver combinations. Hoping you’re having a wonderful weekend! 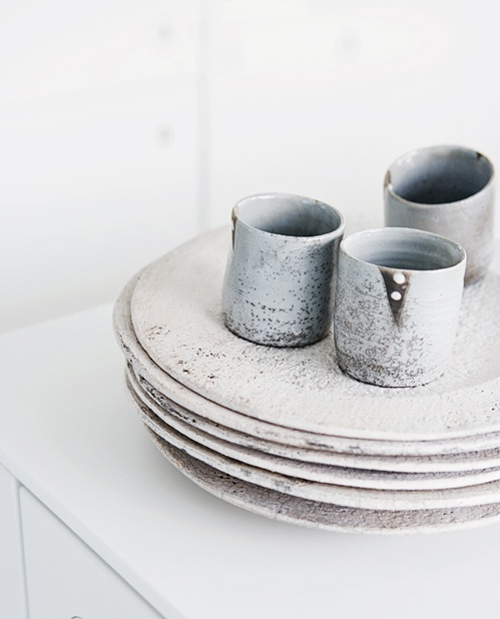 anyone know where the ceramic dishes are from?